Veteran journalist and author Joseph C. Goulden offers a good review in the Washington Times of Srinath Raghavan's India's War: World War II and the Making of Modern South Asia. But the vast majority of Indians chose to join the British fight against Germany and Japan. 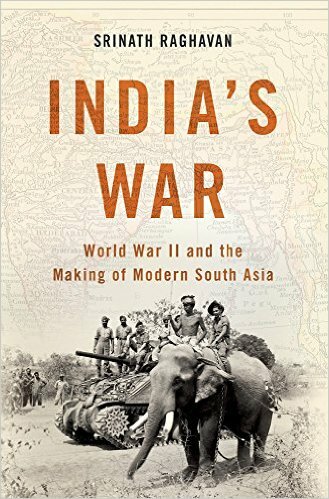 By war’s end, India had trained and deployed some 2.5 million men, “the largest volunteer army in history,” Mr. Raghavan writes. Nearly 90,000 were killed or maimed. The populace clearly did not wish to exchange rule by the British to subjugation to the Japanese.